Kenneth Gene Lefler, 69, of Carthage, passed away on Saturday, January 19, 2019, at Blessing Hospital in Quincy, Illinois. Kenneth was born on November 24, 1949, in LaHarpe, Illinois, the son of Gaylord and Gertrude (Shipman) Lefler. He was united in marriage to his wife Cathy Huls of twenty-three years. She precedes him in death. On April 14, 2017, he was united in marriage to Karen (Hood) Inman in Carthage, Illinois. She survives. 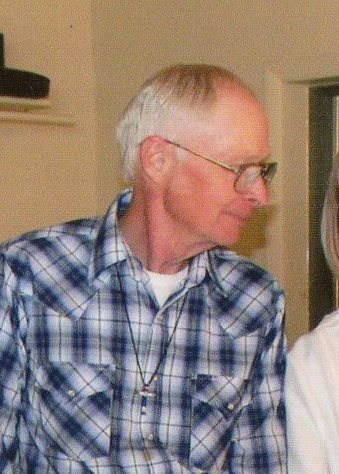 Kenneth was a member of Lighthouse Worship Center in Hamilton, and worked at Homestead Lumber in Carthage for fifteen years before his retirement in 2018. He loved his grandchildren, and especially loved taking them to the beach and stock car races in Quincy. He also enjoyed watching football. Kenneth proudly served his county in the United States Army. Kenneth is survived by his wife Karen Lefler of Carthage; four step-children: Vera (Richard) Harber of Colchester, Illinois; Shannon Taylor of Plymouth, Illinois; Clarissa (David) Ungashick of Blandinsville, Illinois; and Donald Inman, Jr. of Basco, Illinois; his sister Judy (Keith) Williams of Birmingham, Iowa; nine step-grandchildren: Brittany Harber, Shaina Frakes, Dallas Taylor, Dylan Taylor, Audrey Taylor, Sheridan Taylor, Bryer Quesinberry, Makenzie Ungashick, and Carson Ungashick; his great-step-grandson Chase McNeill; and several nieces, nephews and cousins. Kenneth is preceded in death by his parents and his first wife Cathy. Kenneth’s life will be celebrated with a memorial service at 11 am on Friday, January 25, 2019, at Printy Funeral Home in Carthage. Following the service, burial with full military rites will be held at Keokuk National Cemetery. Visitation will be held at the funeral home on Friday from 9 to 11 am, directly before the service. Memorials in memory of Kenneth may be directed to the family.